Dr. Jose J. Monsivais is certified in Surgery of the Hand by the American Board of Surgery and also in Pain Medicine by the American Board of Pain Medicine. He has performed over 7,000 upper and lower extremity operations, and over 2,000 microsurgical procedures. He frequently presents his research nationally and internationally, and has authored 55 scholarly publications. His global health service activities have included self-funded volunteer activities with Health Volunteers Overseas in Ethiopia, Honduras, and Moldova. Most recently, his contributions have been in collaboration with the Palestinian Children's Relief Fund in Lebanon and West Bank, Palestine where there are no hand surgeons available for a population of approximately 8-10 million people. He has been working with local physicians to develop a teaching and research program in Hand Surgery so that the children who so urgently need care will be able to receive it. Orthopedic hand surgeons diagnose and treat ailments affecting muscles, bones and joints, treating sports injuries, degenerative diseases, tumors, infections, and birth defects. They regularly perform joint repair and replacement operations. Clinical Interests: Brachial Plexus injuries, Peripheral Nerve Injuries, Complex Wrist Problems, and Pain management. He has contributed 55 scientific articles to the literature in these fields. 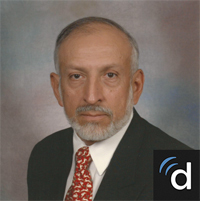 Dr. Jose Monsivais is an orthopedic surgeon in El Paso, Texas and is affiliated with multiple hospitals in the area. He received his medical degree from Universidad Autonoma de Guadalajara and has been in practice for 44 years. Dr. Monsivais also speaks multiple languages, including Spanish.